The Arianespace mission with four O3b Medium Earth Orbit (MEO) satellites is now underway following today’s Soyuz liftoff from the Spaceport in French Guiana. 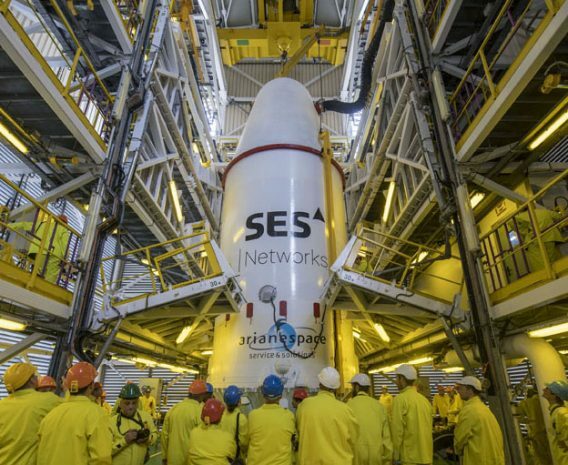 Total lift performance for the launch is estimated at 3,198 kg., with the satellites to be deployed during a flight lasting approximately 2 hrs., 22 min. Watch the live broadcast Arianespace.com. More details are available in the launch kit.